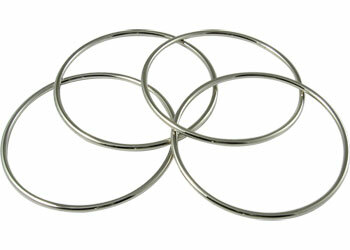 Discount Magic - Linking Rings (4"). The classic of magic made miniature (4"). This set comprises of 4 metal rings and a set of instructions for performing a close up version of a true audience pleaser.